So, this week we explored the wonderful and burgeoning world of net art. This is “born-digital” art that is created for and designed to be experienced online in a digital environment. That digital component is what delineates this kind of art from trad art. In many ways, this kind of art is liberated from the exhibition context of the museum in that the Internet becomes its gallery space. Of course, this creates some concerns over accessibility and privilege, which I have discussed before, but I would like to focus more on some of the interesting ideas being explored in net art projects in this post. Particularly, I’m interested in how much of net art is exploring the presentation and representation of self in this digital age. In my bonus post this week, I discuss some projects like Mouchette, BODY ANXIETY, and Emilio Vavarella’s (@emiliovavarella) Digital Skins series which each explore different facets of self in creatively digital ways. What is most interesting to me about pieces that explore how digitization has affected self-representation and its aesthetics is the prismatic depictions so often utilized to convey a sense of the multi-dimensional. In her essay “Stories of the Self on and off the Screen“, Dr. Ruth Page discusses the fragmentary nature of self in the twenty-first century and how emerging digital mediums like Eliterature (which is arguably both literature and net art) are in a position to convey that “partiality”. Page emphasizes how the transmediality and multimodality of digital mediums allows for new narrative structures which are often non-linear. This non-linearity often mirrors real-world experiences of life. It’s interesting that digital mediums can, in some ways, provide more “realistic” representations of the experience self than trad formats. Neither is “better”, just different. Digitization has, in many ways, allowed for a diversity of perspective that can really be engaged with. Eliterature and net art really allow for a new perspective to become a whole experience. I find these capabilities to be fascinating yet often overlooked. 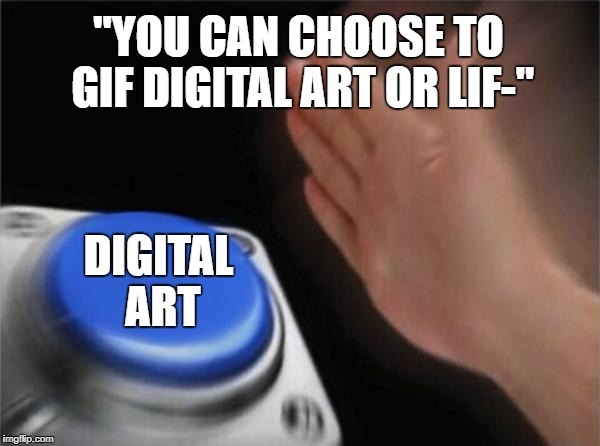 In class, we spoke of the “aura” of art and how digital/net art is often dismissed or placed second to trad/classical art because it is viewed as lacking some kind of “aura” that makes it “true art” (whatever the f*ck that means). I find this to be a rather pretentious view on art. The idea that a work of art must be a physical thing viewed in a museum in order for it to be considered of artistic merit/worthy of transcendent thinking is rather limiting, to say the least. Also, it makes me wonder who is art for? If it must be viewed in a museum or through some kind of institutional authority, this indicates to me that art is only for a select few and that people outside this select few are somehow incapable of properly appreciating it. i think there’s an elitist, perhaps imperialist hold-out, attitude here. Because net art is, in many ways, more democratized than other art forms and more accessible in that the threshold for participation in creating it is still rather low (basically have access to a computer), I think it receives unnecessary criticism from the art world and the “peanut gallery”. Somehow, because of digital intervention and the perception that digital mediums are somehow inherently imbued with less meaning, net art is viewed as lesser than. Which is very sad considering how many really creative initiatives and works are being created using this technology (as mentioned above). In our studio visit with digital artist Alex Saum (@alexsaum) this week, we talked a little about the depth of meaning that can be captured in a digital work. For example, her E-Poetry collections explore issues of self, identity, and self-representation in the digital age in very multimodal, visceral ways. The performance of self online becomes her art, reflection on these mediums her practice. Art, life, and the digital are all in dialogue with each other in her works. Both the positive ways in which digital media allows us to extend ourselves and the negative ways digitization curtails authenticity online are explored in Saum’s work. These complex ideas and their intersections culminate in these beautiful and movies works of digital poetry. Her work really allows for a prismatic view of self and allow for reflection upon current practices of the presentation of self in online spaces. For example, in Saum’s poem “Ashes to Ashes #YOLO” (2018), the question “Where are the people?” is looped over a video of Saum filmed in the style of Youtube confessionals. This poem seems to be making a statement on the commodification of self in the twenty-first century and how self has become more of a product and a performance online than an actual lived experience. The confession here is that rather than online spaces allowing us to be more real, they are allowing us to less authentically ourselves. This is an interesting concept proposed in not only Saum’s work but in Vavarella’s work and the work of many other digital artists. As states before, online spaces were supposed to democratize information, self-expression, and many other ideals. But, instead, they seem to have become these places where we can be anyone but ourselves, we can tell anything but the truth. Saum’s work seems to be connecting this bastardized democracy online to consumerism and the commodification of online spaces. Especially in the US, the digital world is fast becoming a for-profit enterprise which infringes upon the ideals of community and equity and the free-exchange of ideas that the Internet, for most of us, was founded upon. I view Saum’s work as spreading awareness of this but also as a kind of protest in that in the process of reflecting upon the practice of growing in-authenticity online, Saum is revealing truths about herself and her values which resonates with many of us. I think a lot of are against the commodification of online spaces and the rise of “influencers”, of personalities/personages for profit. Everything else in the world is already so commoditized and we are so consumed by it. I think we all want a space where we can explore ourselves for our own sakes. In this way, a lot of digital art and net art is commentary on consumer culture and the contemporary digital practice that is being sold to us. Some of it seems even to be a protest, a reassertion that we don’t have to be these fake people online, that the digital does not have to be associated with the fake. I think this is important work artist like Saum are doing. Even is Saum herself doesn’t necessarily see herself in her work (“Works of art are always representations. They aren’t me.”) , her commentary on self-representation and its shortcomings is valuable in that it reminds us we can be real online if we want but we don’t have to be who we are online either. What is important is that we still hold onto a sense of self in this social media deluge and that we don’t let anyone decide our value for us. The hustle some influencers have though is fascinating, their ability to make a brand of themselves demonstrative of some admirable ingenuity and creativity even if I have some ethical disagreements with the franchise. As mentioned, be sure to check out my bonus post on different works of net art. I curated a small collection of works that focus on self-representation of many different kinds. In case you didn’t see this thread in #netnarr, @ronald_2008 and @dogtrax remixed my Twitter photo in some very cool ways. Both @dogtrax and I remixed our images using Lunapic. I suggested a DDA using the tool (which I hope goes over better than my other suggested DDA for creating a Cyper Punk name which was never published so idk I can only make suggestions~). Also, I shared this interesting video on how the “meme-ification” of celebrity personage affects our own reality. 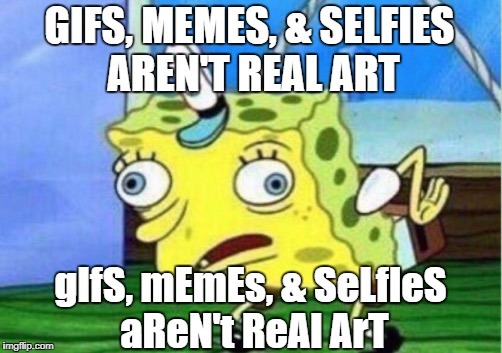 I think it ties in rather well with our discussion around memes, net art, and self-representation in the digital age. This entry was posted in Networked Narratives and tagged alex saum, art, Digital Art, net art, netnarr, Networked Narratives, opinion, personal, self, self portrait, self-representation. Bookmark the permalink. The story I want to tell is one I’ve been assembling the pieces of for a while now. Ever since my first interactions with ELit, specifically with works by Jason Nelson, Juliet Davis, and Porpentine, I feel like there has been this story developing. Between then and now, that tale has existed in a kind of in medias res state, waiting to be fully realized. Anyway, these ideas have culminated into a project I call the Degenerate’s Gallery. This title is inspired by both Degenerate Art and the Rogues Gallery. Essentially, I want this work to showcase new forms of digital content creation, like memes, as pieces of a new kind of self-representation that is representative, really, of a kind of re-emergence of traditional Dada ideals like nihilism, absurdism, and self-abnegation. Digital artifacts like memes and tweets seem to be engaging in a kind of revival of these traditional Dada ideals and, more than that, seem to speak to a new kind of self-image/identification that is self-deprecating but also a celebration of deprecation and of rejection of self and of reality (if that makes sense). I imagine this project would manifest as a kind of drag-and-drop interface. The main screen would consist of a silhouette of a person’s head and shoulders, whose face and visible body are covered in a collection of artifacts such as memes and tweets but also Dada manifestos and pictures of traditional art pieces such as Duchamp’s lovely “Fountain“, which challenged the art world when it was first unveiled. Users will have to “drag” these artifacts from the silhouette in order to uncover significance (in a kind of purposeful reverse of Juliet Davis’ Pieces of Herself). Honestly, this work is everything I didn’t even know I wanted it to be. Before putting charcoal to textured paper, I did not even know how scary silhouettes in places of eyes could be >.> Also, I discovered that I did still want to incorporate a kind of visual connection to bricollage and ideas of brokenness (disconnectedness) vs. mosaic (creation from destruction, assemblage of a new whole) via the “cracks” creeping across the screen. I worry the aesthetic of this work may be a little scary but I also feel like this kind of aesthetic is “on brand” for me and is, essentially, a signature. This style is what distinguishes my approach and my work from that of others. I really want to see if I can incorporate some of my own drawings into my project, kind of like Stevan Zivadinovic did for Hobo Lobo. I want to draw this out for myself to see the effect IRL before I decide to rely on photo manipulation software. To provide additional context to readers, I also chose to include a quote by notable Dada writer Tristan Tzara. The quote is provided at the start of this post. I believe it provides some framing in the same way that a poignant quote across the top of the screen provided framing and an additional layer of meaning to Illya Szilak’s Reconstructing Mayakovsky and Jason Nelson’s This is how you will die. All in all, I think I have a fairly developed and “fleshed out” concept for my work. I think it’s a meaningful concept, as well, and one that is trans-formative and imaginative. I’m not sure how I would go about creating this work but, currently, I am in the process of experimenting with different programs. Hopefully, I will come across a program I can work with! Please, let me know if you have any suggestions! And, please, let me know your thoughts! I’m quite curious about what others think of my proposed topic! This entry was posted in Digital Art, digital storytelling, ELit 2.0, Networked Narratives and tagged aesthetic presentation, art, dadaism, design, Digital Art, digital dada, digital storytelling, ELit, ELit 2.0, elitclass, eliterature, memes, neo-dada, personal, self-representation, storytelling, what do you think?, writing. Bookmark the permalink. In the names of progress and peace, what would you sacrifice? Some of your freedoms? Most of your voice? All of your body? Replace your autonomy with technology, swap democracy for technocracy? These questions seem to be at the narrative heart of Illya Szilak’s Reconstructing Mayakovsky (2008), a work of Eliterature (ELit) heavily inspired by the rise of both terrorist activity and technological advancement in the early 21st century as well as by the life and literature of early 20th century Russian Futurist writer and revolutionary Vladimir Mayakovsky. Szilak’s work seems to ask readers to not only immerse themselves in its rich narrative aspects but to consider, conceptually, the nature of reality and the complex relationships of story to reality, of self to machine, and of machine to nature. The work accomplishes this feat through a combination of textual, historical, navigational, and aesthetic “mechanisms” all working in tandem alongside reimagined, Neo-Futurist ideology to construct an experience that “promotes an idiosyncratic reading” (Gauthier) of the piece and reveals the mutability of meaning (story) and of humanity (the self). OnewOrld, the world of Reconstructing Mayakovsky, is one in which humanity, and its propensity towards violence and chaos, has been abandoned for the seeming safety of virtual reality. “Inhabitants who survived a major cataclysm…live in hibernation units immersed in a virtual world” (Gauthier). The program and its safety are guaranteed by the Monad Global Attention Group, the financial investors behind the OnewOrld project. According to the short video clip–that ostensibly adopts the traditional style of a financial investment PowerPoint– found when one clicks on the “Movies” mechanism–hovering in the starry pocket of an otherwise infinitely dark and empty universe main interface screen–“real bodies cost money” and “the end of profitability is near”. Physical reality has become unstable and so must be converted to a virtual system. This story, the overt one, plays out in 46 chapters whose text can be accessed via clicking on the “Mechanism B” mechanism floating in the aforementioned abysmal/primordial miasma (Gauthier). Audio versions of the chapters can be found by clicking on the “Audio Podcasts” mechanism. The OnewOrld language is English that has been translated into French and then back into English using the Babelfish program–literally removing it that much further from ourselves. This makes the language read/sound quite mechanical, adding additional complexity as well as a sense of eeriness to readings. These chapters float chaotically in no specific order in their own, bright red or solid black pocket universes of the site. Readers are given no directions on how to navigate the narrative nor interpret the mechanical language within. Instead, readers seem asked to construct meaning on their own as though the work were one large, deconstructed poem, whose inherent order matters less than a reading’s interpretation. This format lends itself to the idea that navigating an ELit piece is also, “an act of producing a work’s signifying properties in the moment of engagement with them” (Pressman). Meaning cannot be interpreted in this work until a node–a hyperlink, in this case–is clicked and its encoded lexia accessed. Even then, though, there is no promise of revelation. What do 46 chapters mean when, “We reject the absolute truth of the number”? Or, when “The difference between a lie and the truth rests in its utility”? This lack of inherent meaning seems to both be at odds and celebrate the work’s Neo-Futurist undertones. Futurism was an early 20th century art movement that rejected the past and the mere idea of the past influencing the future and instead celebrated the future, the youth, speed, dynamism, violence, and, above all else, the machine. Marinetti’s Manifesto of Futurism calls for the abolishment of libraries and museums and, most famously, compares the automobile to the splendor of “the Victory of Samothrace”. Bold. But, also an ideology that seems promoted in Reconstructing Mayakovsky. That said, while attributing meaning of this otherwise seemingly disjointed work through a kind of Neo-Futurism reading would be easy, it seems not to suffice. Contradicting elements appear throughout the piece, promoting violence but also a way for “non-violently defining, creating, and animating the world”. Pieces irreverently discard the human and its agency but also claim, “In so far as we are bodies and minds We are the embodiment of nature In so far as we use technology as an extension of our bodies and minds there are choices we can make [sic]”. These contradictions complicate any simple understanding or navigation of Reconstructing Mayakovsky. Most of these contradictions can be seen when the overt narrative of the work is compared to its accompanying manifesto, which can be found by clicking on the “Manifesto” mechanism. A condensed version of the manifesto titled “a petit Manifesto: or how I learned to stop worrying and love the movies” can be read on the screen that first appears or a longer version of the manifesto, “Do You Think Malaria Makes Me Delirious?”, can be accessed by clicking “download print version”. The condensed version hits some of the manifesto’s highlights such as, “All realities are virtual, but few of us can live here”, “Art is to life as Kitsch is to death” and “EVERYTHING HAS BECOME US, But we are nowhere in the world” while the longer version elaborates on these subjects and many more–such as poetry, language, memory, religion, humor (“We believe that all humans can laugh but most jokes don’t translate well”), etc.–eventually concluding that, “Our future demands a feminine art that knows and appreciates the body and its ornaments” (Szilak). Not very Futurist proper and, in comparison to the narrative aspect of Reconstructing Mayakovsky, this manifesto seems to contrast greatly. In fact, it seems to be a rebuke. The manifesto reads as quite a scathing critique of the virtual, technocratic world of Reconstructing Mayakovsky but also of some of the key tenets of Futurism, adding an element of self-awareness the Futurists themselves seemed to lack to the work itself if not the narrative within. Additionally, the manifesto seems to challenge notions of reality and perception, stating, as mentioned earlier, “When the wor(l)d has any meaning The difference between a lie and the truth rests in its utility [sic]”. Reconstructing Mayakovsky, then, becomes a mirror for readers, inviting them to explore the relationship between truth and perception of truth via its decontextualized, free-associative interface and its Neo-Futurist framework which invites a kind of contradictory, Orwellian “doublethink”. Perhaps, though, some of these contradictions can be reconciled in Mayakovsky himself, who is a main character introduced into the world of the narrative aspect of this piece but who is also the author of much of the conceptual underpinnings of Reconstructing Mayakovsky. More, perhaps taking a closer look at Russian Futurism specifically and its conceptual underpinnings can bring a degree of understanding to an otherwise nebulous and mercurial work. Vladimir Mayakovsky was born in the Russian Empire, pre-revolutions, in what is now the country of Georgia. He came of age and became a writer and artist during a time of ideological upheaval as well as national and cultural revolution. In the early 20th century, Mayakovsky joined the Russian Futurist movement, an art movement that was influenced by Italian Futurism’s ideology which promoted/idealized modernization but that also, almost antithetically, appreciated traditional Russian folk art and life. Many members of this movement, like Mayakovsky, sought to dismantle the Tsarist autocracy that had been governing Russian for hundreds of years and replace it with some form of socialism–communism most commonly. Many artists from the movement participated in the generation and proliferation of Bolshevik propaganda. Most members of the movement rejected the work of the so-called, “Great Masters”. One of the most famous Russian Futurist manifestos Mayakovsky contributed to, “A Slap in The Face of Public Taste”, proclaims, “The past constricts us. Academia and Pushkin make less sense than hieroglyphics. [burn] Dump Pushkin, Dostoevsky, Tolstoy, etc., etc. overboard the ship of Modernity” (Burliuk et al. as quoted in Lawton). Essentially, the Old Masters are dead and should stay dead. Many Futurists also came to reject the title of Futurism itself, Mayakovsky stating in a short essay titled “We, Too, Want Meat!” (1914), “What’s a Futurist? I don’t know. I never heard of such a thing. There have never been any”. Perhaps this rejection is what led to the eventual dissolution of the movement. Perhaps is was the fall of the Russian empire. Perhaps it was always just disillusionment in need of voice and performance…. Regardless, the movement essentially dissolved in Europe with the onset of World War I and dissolved in Russia after the Russian Revolution of 1917, the assassinations of the last of the Romanov family, and the rise of Stalin and the Soviet Union. Mayakovsky continued writing in the “Futurist spirit” though, penning multiple books of surreal, decontextualized, or otherwise counter to poetry and becoming an outspoken spokesman for the Communist party until his suicide in 1930. A bullet in the brain heart. In many ways, Mayakovsky embodies the ideals Reconstructing Mayakovsky espouses–which makes sense. (The work is literally titled Reconstructing Mayakovsky and, in the piece, Mayakovsky’s character is resurrected.) Evoking Mayakovsky is evoking the complex, often contradictory nature of Russian Futurism–its promotion of both the machine and traditional folk art–but also of that time period of upheaval and revolution in which the movement and Mayakovsky existed. “We believe that art is the memory of the future and memory is the art of the past”, the manifesto states. Mayakovsky is both the art and the memory. Reality is what exists in between, is what exists in the vast blackness surrounding “Manifesto” and “Movies”. The “Archive” mechanism seems to also enhance the idea of reality being made mostly of what is remembered and created. This mechanism consists of images, documents, and articles related to events referenced in the narrative aspect of the work. In this way, the reader and the reader’s reality are being tied to the reality of Reconstructing Mayakovsky as all of the events referenced in the narrative aspect of the work have a basis in our reality (i.e. the bombing of Nagasaki, the existence of complexity theory, etc), making questions about the reality of Reconstructing Mayakovsky also questions about our reality. And, again, readers are given no directions for how to navigate this space of stacked images. The onus of coherence and persistence of narrative falls on the reader. This decontextualization seems another callback to Futurism while the compilation of meaningful subject matter seems to be what connects the overall concept back to Russian Futurism (which still values the traditional or “sentimental”) specifically. Ultimately, the decontextualization of this piece allows for multiple readings of this work and, so, multiple constructions of reality, something that becomes apparent to readers as they attempt to, almost like “astronauts”, forge connections in that amorphous, black space between content and meaning. Additionally, the resurrection of Mayakovsky in this work resurrects and brings into question the ideals and contradictions of Russian Futurism, further complicating the understanding of thi piece and ensuring that no easy answers bring reconciliation. Through concept, design, and aesthetic, Reconstructing Mayakovsky seems programmed to function as an exploration of the contradictory nature of reality, perception, and the relationship of the self to both. Or, perhaps, it is meant to be a joke and its meaning just “does not translate well”. Lawton, Anna M. Russian futurism through its manifestoes, 1912-1928. Cornell Univ Pr, 1988. Marinetti, Filippo Tommaso. “The futurist manifesto.” Le Figaro 20 (1909): 39-44. Pressman, Jessica, and N. Katherine Hayles. “Navigating Electronic Literature.” Electronic Literature: New Horizons for the Literary (ebsite)(2008). Szilak, Illya. Reconstructing Mayakovsky. June 2008. Web Design and Development: Cloudred. Art for animation and graphic design for manifesto: Pelin Kirca. Original music for animation: Itir Saran. This entry was posted in digital storytelling, ELit 2.0, Experiencing ELit, Networked Narratives and tagged art, buckle in, Digital Art, ELit, elitclass, eliterature, futurism, Mayakovsky, opinion, personal, poetry, reading, reconstructing mayakovsky, review, Russian Futurism, story, storytelling, thinking out loud, this is wild, writing. Bookmark the permalink. 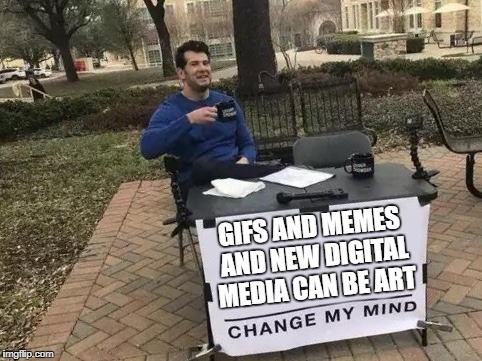 I discuss my thoughts more in depth about memes in this post and about gifs in this post but ultimately I believe that gifs and memes truly embody that neo-Dada essence I mentioned earlier. They tap into that seemingly universal acknowledgement that the world is a pretty absurd place and turn it into art. And though many corporations are beginning to use memes and gifs for advertising purposes (as mentioned by Amy whose style I love ❤ and Michael in our studio visit this week), they are fairly democratic medium, another form of art that is made by the people for the people. A culture of remix and reciprocity has really risen up around these mediums as well, memeing the meme a fun make but also popular practice these days. This entry was posted in Digital Art, Networked Narratives, weeklies and tagged art, communication, Digital Art, Digital Life, digital literacy, digital work, gif, gifs, memes, netnarr, Networked Narratives, personal, poetry, reflection, selfie, selfie art, selfies, thinking out loud, weeklies, writing. Bookmark the permalink. twohundredfiftysixcolors (preface) 2013 from eric fleischauer on Vimeo. Anyway, aside from that fever dream of an induction to gifs, we checked out The Digital Materiality of Gifs–prepare for a MySpace flashback. If the Popular Mechanics article on the history of gifs gets too overwhelming and techy, I think this project does a fairly well job of explaining the history of the gif in laymen’s terms. What I find most meaningful about the project’s breakdown is it’s final thought: “Gifs are a dumb, limited file format, and in the end this why they are important: They do not belong to anyone. Because of their constraints, they become a design material, to be played with, challenged, and explored. To try and domesticate them would be missing the point.” This, I believe, articulates the idea that gifs (along with memes and other new digital media created for and in online spaces) are the people’s art, their creation and burgeoning language. When you try to commercialize the medium and remove it from that kind of freedom and remix-ability, you remove the essence of the medium that allows it to function and to have power, to have agency. Essentially, part of the gif’s power is that anyone can make one and use one. When you begin to chip away at that, you chip away at the ideology, at least, that makes a gif a gif. 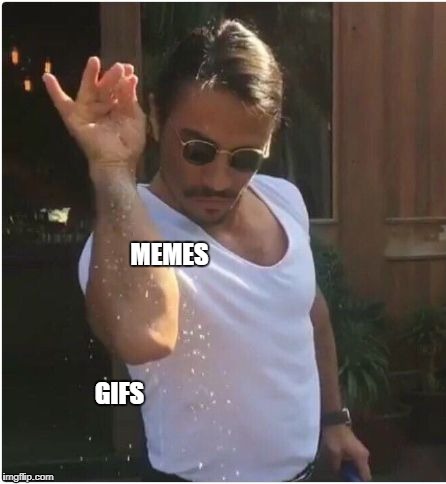 Same as for memes, it’s difficult for me to imagine the internet without gifs. More, without the free and ubiquitous use of gifs. I may not understand every iteration or evolution of the form but I still believe their home is online and freely accessible. Like I said, gifs are a new facet of our language. They are tools for communication and they, in many cases, allow for smoother communication than could occur without them. Like memes, they are complex cultural and social messages in compact form. They streamline communication, especially in online spaces where space can be at a premium (think Twitter’s character limit >.>). What do you think the internet and communicating online would be like without the gif? In addition to discussing the gif and its function, particularly in online spaces, this week, we were also tasked with creating and exploring the power of the form for ourselves. In the Make Bank, we had two activities we could do to practice our prowess at creating gifs. Both activities asked us to familiarize ourselves with Giphy. (An old friend of mine~) For those of you who don’t know, Giphy is a simple and easy way to create gifs from snippets of video or whatnot which are apparently not technically gifs but whatver. Anyway, the first activity allowed us to practice making both a gif with text overlaid and a gif without text by providing a short clip from a western film and asking us what verbal and non-verbal message we could communicate by giffing it. My first gif is meant to be a reaction to the situation captioned. Meaning, when the wifi is down, I’m out–a sentiment I imagine many of agree with. If there’ not wifi, don’t invite me, right??? What am I supposed to do??? Talk to other people and not play on my phone??? My second gif connects to my first gif. The first guy is the one who left when the wifi first went down and the guy gaining on him is joining him on his search for wifi. Though, I imagine this gif could be used as a reaction to any initial action that spurs a second agreeable action. 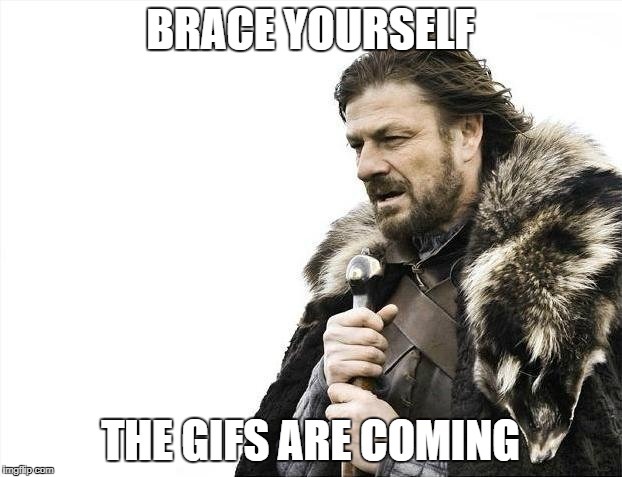 The second activity this week asked us to gif our own content. The only catch was that we had to find a way to make it relate to a topic we’ve discussed thus far about digital life and digital art. Not too much of a catch. Big Brother’s got to know my angles, right??? As for my other gif, I continued to play off the idea of the selfie. Overall, I think gifs, like memes, are the sprinkles of the internet. They don’t always need to be there but they certainly add colour and vibrancy and life when they are. More, I think that gifs are fast becoming a means of communication. They aren’t just accessories anymore. They convey meaning and can be used as reactions to situations which can streamline communication for all familiar or fluent in the gifs being used. Which is absolutely fascinating, don’t you think? *hateplow is another really cool and creative digital gif artist I recommend checking out. Their work is a new twist on magical realism. This entry was posted in Networked Narratives and tagged art, communication, Digital Art, digital storytelling, digital work, gif, gifs, giphy, make bank, memes, netnarr, Networked Narratives, personal, reflection, thinking out loud, weeklies, writing. Bookmark the permalink. Are you in your selfie? After this week’s discussion on selfies, that’s been the question I’ve been mulling over in my mind. And, to be honest, I’ve no answers–just more to wonder about. I’ve already said much about selfies myself but I was interested to hear what my peers had to say about the emerging genre of digital art & creation. More, I was interested in what people thought of the idea of selfies being a form of communication. To many, that seemed readily apparent. Selfies contain messages. They are messages. At least, they can be. Something I didn’t necessarily connect but that others did is how this added element of communication seems to necessitate that selfies always be a social act. Can selfies be keepsakes? Or, must they always be public in order to have a dialogue? Does the selfie’s communication matter as much when it’s only communicating with you? In my opinion, that kind of communication is the most important and speaks to that level of self-reflection Jerry Saltz seemed to be getting at in his article on the art history of the selfie. When viewed in this light, selfies become ways to alter the perception of the self but also the perception of the world. More, they becomes a means to take back some control and also assert control. This, to me, speaks to the empowering nature of the selfie (something I discuss more in-depth in my prior post). Selfies and the acts of taking them are not just some new digital extensions of vanity. Dismissing them as such not only mis-characterizes them but ignores so much potential, so much information about what it is and means to be human. Selfies are becoming the language of us. I mean, we’re using ourselves to convey the experience of life. Our experiences are in dialogue with each other with the advent of the selfies in ways they never were before. That matters. That shouldn’t be dismissed. The other idea I’ve been totally captured by this week is that of the unselfie. Perhaps the concept has been peddled before but, in light of my own findings on the subject of the selfie as of late, it’s such an arresting idea. It makes me pause, stop and think about not just how I present myself to the world but how I don’t. Again, as I mentioned in my previous post on selfies, I believe selfies are not only a burgeoning language but a very vulnerable one. I mean, we’re putting our faces out there for people to interact with, yes, but also for them (our messages, too) to be critiqued. It’s an incredibly vulnerable thing to do, an aspect of the selfie I don’t believe is always appreciated. Anyway, that said, are selfies really all that vulnerable when they are rather staged and selective? Would a picture of some other part of our lives–excluding our faces–convey the same messages abut us that our selfies do? Is that important? To be honest, for all my selfies I’ve taken over the years, I found this project difficult. I looked around the spaces I typically occupy–searching for myself–and wondered if I was anywhere to be found? Then, I realized I was looking for the girl in my selfies. Not me. Not the person behind the selfie. Anyway, what I kept returning to was the bedside table. My bedside table. Dr. Zamora mentioned possibly sharing her bedside table as her unselfie and I was and still am taken with that idea. On my bedside table are the items I obviously want closest to me when I first wake up and, again, when I finally lay my head down. To me, those items embodied, well, me. They’re the most integral parts of me not physically a part of me. I post many pictures of myself online and in digital spaces. This selfie is typical of the ones I usually share (in fact, I did post it here on the gram a few months back~). Face larger than life. Skin smooth like porcelain and glowing as if from within. Hint of pink. A light burning low in the background. Not a shiny hair out of place. My eyes staring at you but not–not really. They look through. They look more glass-like. More doll-like. I look like a doll. Painted smile and all. What you don’t see in any of the pictures I post are the dark circles from too many sleepless nights. You don’t see the anxiety usually alight in my eyes during the day. Don’t see the clock I always feel ticking away, just behind it all. You can’t see my bedside table or you’d know me. Sleep has always been a problem for me, something I dread even during the day (if you have trouble sleeping, you get the stress). I never know if I’ll get to sleep that night. When paired with my anxiety about time and never having enough–for what? I don’t know–I think it’s easier to understand the other keepsakes. Along with my sleep aids, I have a ball of sticky tack, a fidget cube, and another stress-reliever shaped like a little white kitten to squish. Small stimulants and sensation-inducing toys to preoccupy my senses from otherwise overwhelming me. I’ll even worry the little, purple stone heart beside my clock–though it’s actually a gift from someone I love dearly and can’t be with the way I’d like right now. So, it’s more of a small piece of them to keep close to me. Anyway, there’s a lot of my anxieties laid bare on my bedside table that you would never see reflected in my usual selfies. If you’re into close readings, you can even see hints of my forgetfulness (perhaps addled by lack of sleep >.>)–a pair of earrings, my bottom ones things I always forget to take out before I go to bed, and my birth control, just peeking out from behind my shrine of sleep aids, close on-hand so I don’t forget. Selfies don’t usually share these parts of ourselves, despite them being integral to ourselves. (If my melatonin weren’t right there tonight, I’d be at a loss, you know?) Though, I’m not sure if it’s strictly because we want to hide these things from other people. I mean, I’m not ashamed of any of the items I keep on my bedside table. Nor, am I ashamed of my usual selfies. One’s just easier, maybe, to share? There are less questions to answer–if anyone even cares to ask any. Maybe one is more difficult to share, though, because it asks people to care more deeply and that’s not always an easy request to make or meet. Can you see me in both images? More, do you see me differently now that you’ve seen the other? When you see your selfie and your unselfie beside each other, what do you find? What do you see? Are you really as different from yourself as you think? *For #DDA156 (one I submitted), I chose to share a poem from a mentor book I’ve been reading for my advanced poetry writing course this semester. The book is Depression & Other Magic Tricks by Sabrina Benaim and I’ve recommended in on my blog before, in the Goodies section. I think the poem relates well to the subject of the #selfieunselfie. At least, it captures the idea of duality and of reconciling with our own duality in order to “let the light shine through”, if you will. This entry was posted in Digital Art, Networked Narratives and tagged dda, Digital Art, netnarr, Networked Narratives, personal, photography, reading, reflection, self portrait, selfie, selfies, selfies as art, selfieunselfie, storytelling, thinking out loud, unselfie, weeklies, writing. Bookmark the permalink. Tbh, I kind of never want to hear the word “meme” again. In class this week, we explored the fascinating world of meme-making and meme-meaning-making(? )~ In order to accomplish that, we had to descend into the depths of those dank memes I hate myself. We got our hands dirty making our own memes. The Make Bank gave our creative selves some direction, though. 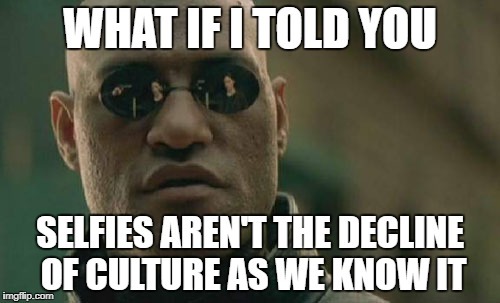 More, it provided some purpose to why we were exploring memes as well as some ideas about how memes can communicate more than just a silly joke or a cultural phenomena. 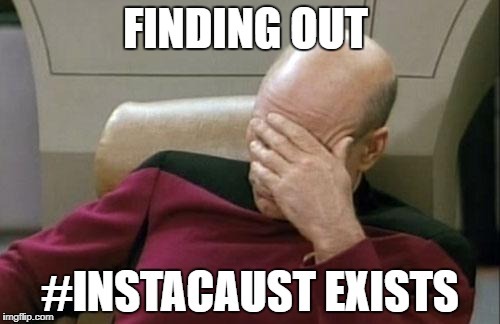 For example, the first activity asked us to not only “meme the meme” but find out where it came from. I made 2 though I really only discovered the background on one of my memes. The phrase is said by the father of Timmy Turner, the series main character. In the episode, Timmy travels to an alternate timeline where he meets his father, who is the dictator of the world but never won the prized childhood marathon trophy that the father in Timmy’s timeline did. 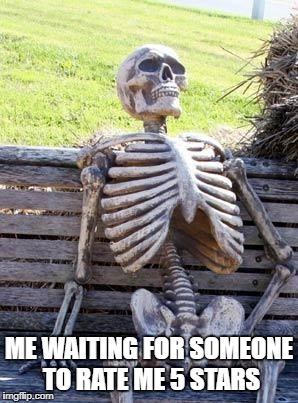 Thus, the meme is used to convey anger that the user is without something they want. The second activity had us meme a hobby or interest of our own. Which, I think is a creative idea. I’ve never heard of it before and I don’t think the genre is a big one if it exists on the world wide web. That may be because the memes are more personal and it’s usually memes that resonate more universally with people (like the Tide Pods meme) that spread and get remixed and re-memed. I found the photo on one of the free image-sharing sites recommended and memed it. Again, because it’s specific, I’m not sure if anyone else gets it or finds it remotely funny but I guarantee if I shared with some friends from the studio or if I printed it out and hung it up in the Metals studio on campus, I’d get some chuckles. As for the final activity, we memed an episode of Black Mirror–“Nosedive“. For anyone who doesn’t know what Black Mirror is, it’s a anthology TV series available on Netflix. Each episode essentially explores the extremes of advancing technology, the results of which are usually awful, unsettling, disturbing, or some combination of the three. In “Nosedive”, as put in this article about the episode, the question, “What if phones but too much?” is explored. More, what if social media controlled every aspect of your life from your social life to your job to your housing to your access to basic amenities and services. It’s wild, to say the least. A nightmare, to say the most. In my meme, I’m referencing a scene from the episode where Lacie Pound (the main character) gets into a bit of a disagreement with a flight concierge. I believe Lacie missed her flight and because her rating wasn’t high enough, she couldn’t be bumped up to priority for the next flight or something(?) Anyway, Lacie tried to keep her cool but failed spectacularly when she finally snapped and asked the concierge is she could just, “f*cking help her!” Seemed very meme-able to be. Also relatable like who hasn’t wanted to curse out a customer service rep??? Even though it’s not their fault. It’s the impulse. And the frustration. I used the ever-popular “Evil Kermit” meme~ Essentially, sith Kermit represents your inner or intrusive thoughts that typically suggest you do something you know you shouldn’t but wish you could. So, I guess a big question that came up, in regards to both memes and “Nosedive”, is, “What is this all about?? ?” What kind of message is being conveyed? In “Nosedive”, I think a warning about the pervasiveness not just of social media but of its increasing usage as a place of self-validation is being presented. While it seems unrealistic at the time of this post that all social media applications will consolidate into one conglomerate, it is not unrealistic that the evaluative systems they use (i.e likes, or ups, or <3s) could be used to affect other things our lives. In some ways, this already happens. As Patrice mentioned in class on Tuesday, credit scores already affect large aspects of one’s life and one’s access–and those scores are readily available to anyone who wants to view them. To be honest, I’m only vaguely concerned about anything close to what occurred in Black Mirror really happening but I did find the premise of this episode to be unsettling in that “too close to home” way. I worry all the time that people are becoming increasingly unable to properly appreciate moments in their lives. Like, nothing means anything unless it’s posted online and validated by other people with likes or what the f*ck ever that yes, it means something. That really does worry me. It seems like we’re getting closer and closer to performing our lives instead of living them. I love so many aspects of social media and of digital spaces and digital media but I’m also very concerned and scared about many aspects too. Some people simply can’t seem to handle it and it’s always those people who are setting examples. I hope a shift in how we use social media or in how we navigate digital spaces occurs soon. With education on the topic finally entering academic spaces, I hope that shift will occur soon. 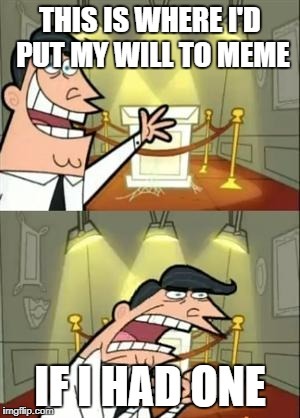 As for the meaning behind memes, I love ’em. ….If I had to choose, I guess I’d say I hate to love ’em but I love to hate ’em. 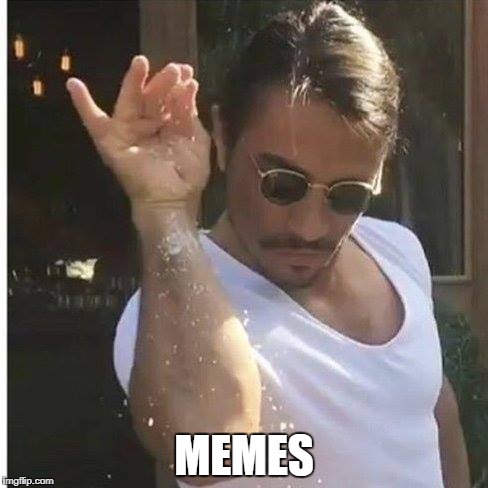 I think I made a post a while back comparing memes to the sprinkles of the internet. They’re that dash of a little something extra that makes the internet enjoyable. I still stand by that assessment. I think it’s pretty accurate. Like sprinkles are not necessary for an ice cream sundae but they kind of make the experience, right? If they’re not there, it’s a noticeable difference. If memes weren’t around, I think the internet would still be pretty great but it’d be missing that extra oomph that just makes the experience. Does that make sense? I think memes are the glue that hold us all together omg I hate myself. They’re possibly the most universal elements on the internet. They are relatable and they have resonance. Usually, they speak to some aspect of the human experience that we all understand, seemingly regardless of language or even culture in some cases. Our favourite~ The amount of times a day we say “Give ringlets”…. Memes are fast becoming the language of the internet. Which is of immense interest to me. At this point, I think it’s obvious I find there to be an art to meme-making. Of the art, though, I’m particularly interested in how it seems to be reviving Dada and Surrealist ideals. I see traces of these movements in this new wave/form of creation. Actually, I’ve been tossing around the idea of writing my thesis on Neo-Dadaism and Neo-Surrealism in new digital media such as ELit, memes, and gifs. Also, Dada was a response to the absurdity of WWI–all these first world nations, commonly considered the pinnacles of culture, fighting over 50 feet of mud–and I’m curious if I could find a similar impetus in the real world for the resurgence of Dada forms in art. It’s something I’ve already written a little about while reviewing a piece of ELit by Jason Nelson a few semesters back. Anyway, I’m not sure if it’s something I could do or who I would even consult about it but it sparks my creative interest and meshes well with my background in art history and fine arts, as well. It’s something this work has got me thinking of, at the very least. Selfie Post: Check out my thoughts on the Selfie medium. I analyse a few different viewpoints on the subject as well as discuss or, really, make a case for why the Selfie is a form of art and one that has meaning and value in our world. Highly recommend checking this out before our Twitter chat on Tuesday night (2/13). *Wisecrack on Youtube has 2 great videos on the philosophy of Black Mirror if you’d like to check them out. This one is pre-4th season and this one is after the 4th season came out. The latter looks at the show through the 4th season’s last episode “Black Museum”. 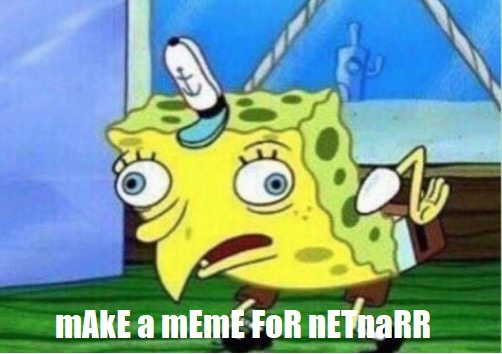 This entry was posted in Digital Art, Networked Narratives and tagged art, behind the meme, black mirror, Digital Art, meme meaning, meme the meme, memes, netnarr, Networked Narratives, nosedive, reflection, thinking out loud, weeklies. Bookmark the permalink. Images are moments and if moments are experiences, then what experience does the “selfie” capture? What is the selfie? What does it represent? When it comes to social perceptions, the selfie, like most new digital media, typically gets a bad rep. What did you think society would say??? According to one article in Jezebel, by Erin Gloria Ryan, “Selfies aren’t empowering; they’re a high tech reflection of the f*cked up way society teaches women that their most important quality is their physical attractiveness.” and “Selfies aren’t empowering little sources of pride, nor are they narcissistic exercises by silly, conceited b*tches. They’re a logical technically enabled response to being brought up to think that what really matters is if other people think you’re pretty.”Wow. Did you catch that double “not empowering”? But, is this a fair assessment of the selfie? Is there nothing redeemable about this new digital form? Are selfies vain, self-centered, narcissistic, self-indulgent, and exploitative at best? Or, can they be these positive, celebrations of the self–especially for women? More, are these even the right questions we should be asking? Are they detracting or distracting from what the selfie truly represents? 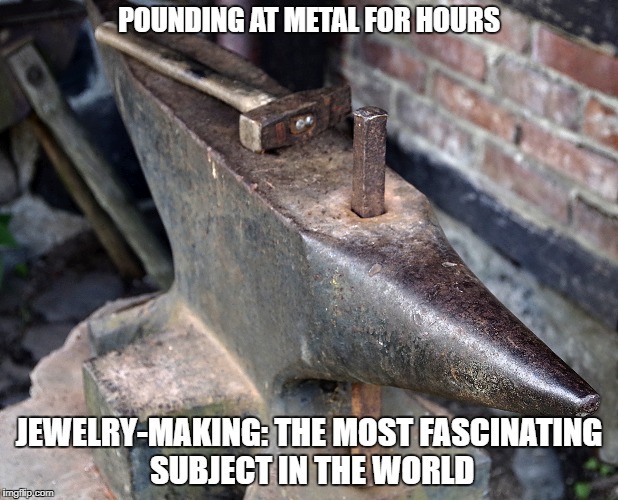 Or, what it could represent? We could argue a moral imperative all semester and never reach any conclusions, in my mind. More, this kind of argument reduces the selfie to nothing more or less than an extension vanity or personal expression. This kind of discussion leads nowhere, to me, and fails to adequately recognize a new genre of digital media, of digital art: The Selfie. So, what’s the word on the selfie? Now, it’s interesting that both Hurst and Berlatsky, unlike Simmons or Ryan, compare the selfie to a contemporary portraiture. That said, this is a fairly common comparison made. The excellent and enlightening Art Assignment channel on Youtube has a rather in-depth video on the subject, comparing self-portraits and self-taken photos to the contemporary selfie. While a strong case is made for the selfie being an extension or an evolution of the self-portraiture genre and, certainly, being associated with such a prestigious genre with such a long history would be a boon, not everyone is of this mind–myself included. In a Vulture article by Jerry Saltz, a case is made for why the selfie is its own distinct genre, separate from traditional portraiture. Saltz says, “These [Selfies] are not like the self-portraits we are used to. Setting aside the formal dissimilarities between these two forms—of framing, of technique—traditional photographic self-portraiture is far less spontaneous and casual than a selfie is. This new genre isn’t dominated by artists. When made by amateurs, traditional photographic self-portraiture didn’t become a distinct thing, didn’t have a codified look or transform into social dialogue and conversation. These pictures were not usually disseminated to strangers and were never made in such numbers by so many people. 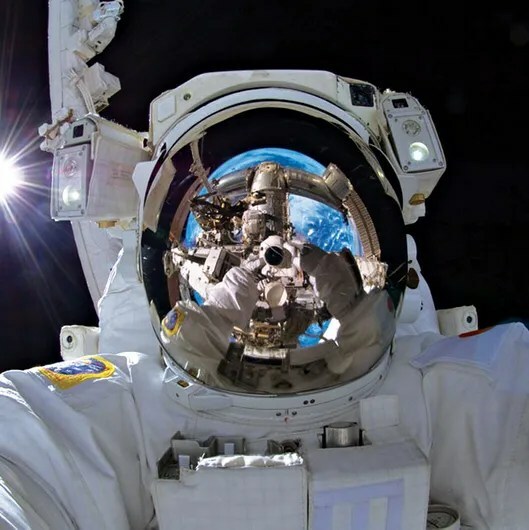 It’s possible that the selfie is the most prevalent popular genre ever. Essentially, selfies are not portraits. At least, they aren’t just portraits. Aside from technical differences–that the camera is in the hands of the photographer, always within arm’s length (making a hint of the arm a feature of most), off-center subjects, distorted or exaggerated features due to the camera lenses of most phones,–selfies convey a different meaning than a traditional self portrait or photograph. In this way, I do find selfies to be empowering, especially to women who have been subjected to the male gaze and all that applies for all of history. Being able to control the perception of yourself, even in such a small way, is an assertion of power. Despite what Ryan says in her article, that element of control is in and of itself what makes the selfie an empowering art form. That selfies can only be responses to a societal standard already in play or that selfies can never be anything other than an extension of this need for validation from others seems like an over-generalization, to me. And, that stance does not allow for the selfie to be looked at as an art form. In fact, as the genre has come into its own, “selfie culture” seems to be more about subverting expectations. Or, it’s about questioning expectations. Asking people to see more than is usually expected. Selfies become more that self-portraits, then. They become invitations to a dialogue, a conversation in which we all participate. See, whether or not you’ve personally taken a selfie, you’ve seen them, you know people who take them, you’ve seen people take them. Point is, you know what they are. Selfies are almost as pervasive as they are controversial. Or, controversial as they are pervasive?? Think those 2 things go hand in hand. More to the point, you’ve interacted with selfies. You’ve read them or you read them, so to speak, almost daily. I don’t know about you, but I think I’m pretty good at telling a “show-off” shot from a “I’m feeling nice today” one. There’s a different feeling a Kim K. selfie gives off than one of my co-worker Christina, staring straight into the camera with slight smile, yeah? However you categorize selfies–and I bet you do–you know there are differences, differences conveyed only in that slight smile, eyes half looking at the camera, half at some point above it, only in that superior tilt of one’s chin, that glimmer in their eye, that hint of a curvaceous figure in the mirror. Selfies have a language and we are all fast becoming fluent in it. But it’s more than art. It’s all of those meanings just below the surface coming into conversation with themselves and with us. We interpret. We imagine. We investigate. We create. Then, we share. In this article, Saltz shares a selfie a man took on a trip to Auschwitz. What do you see? More, what do you feel? It’s not just a selfie, right? There are so many associations culminating in this one imagine that create story that is more than its selfie parts. Maybe you’re horrified that this kid thought it was okay to make a “joke” out of Auschwitz. Maybe you’re not surprised. Maybe you feel something else. Point it, you feel something. You’re reacting to something conveyed. Something was said and you have a response. You are in dialogue with this selfie. This selfie, I would say, veers into one of the many categories Saltz identified in his article, the category of “selfie thinking” that he describes only as, “It’s the invisible thought balloon over the subjects. ‘It is totally incomprehensible, even to us, to be us,’ they [selfies] are saying, ‘or to be us, being here. '” In this way, selfies become confirmations of the self and then confirmations of the experience as we bear witness to it. More, as you bear witness to it. Selfies are a documentation of the experience of yourself experiencing something. Selfies transcend questions of vanity and of narcissism when they are allowed to enter this realm. In this way, selfies capture the experience of the self. More, they capture our experience of ourselves, new digital media allowing them to enter into dialogue with themselves and with the world without. All this said, that doesn’t mean the genre is without its faults. It’s new and burgeoning and exploratory and experimental which leaves it open to making a lot of mistakes. 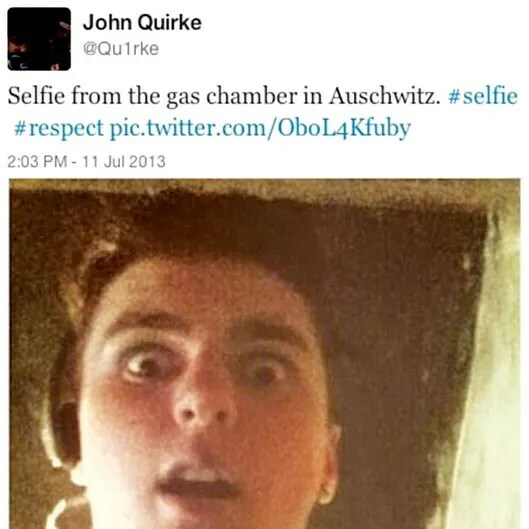 Also, that selfie of the guy at Auschwitz is not a stand-out. In fact, it’s becoming a disturbing trend. While I’m not sure the rise of the selfie itself is solely to blame for this trend, I do agree that it’s facilitating this kind of disrespect and dissociation from reality, from the gravity of one’s actions that social media at large is taking heat for. As mentioned in the article, there’s this growing disaffection and, really, inability to appreciate moments themselves without commemorating them via digital means. Like, things don’t mater or can’t unless they’re shared and validated through that act of sharing. Again, I don’t think the selfie should be wholly held accountable for this. Remember, there is a person behind the selfie. Personally, I’m a bit of a selfie queen. Now, all it takes is the right angle and a click. I know what the caption beneath says but what does it tell you? Even without the caption, would you still get a sense of my message? I may be biased but I think so. There’s about that far-off look that’s almost contemplative, thoughtful. Though the camera is angled below me, my head is still tilted, to the side so that my hair angles downward. The camera may be pointed up but I’m being dragged down. There’s the straight line of my mouth. The glow of my painted face that is at odds with the flat look in my eyes. Then, of course, there’s all the deep, black Xs slashed around my head, creating a disconcerting halo that also conflicts with the overall glow of my face. Even without saying anything, I think it’s clear that I’m experiencing a conflict of emotions. Maybe I’m battling something? I think the question is there and that is the power of the selfie in action, the art of it. This selfie is the story of me in this moment, performed by me–maybe–but definitely lived by me. It is the embodiment of an experience. One that I wanted to share–not because I can’t appreciate what I feel and the moment I live in or because I need someone to validate it for it to be real but because I do appreciate my moments and believe there is something worthwhile in allowing them to be shared experiences. So many people are afraid to be vulnerable and I think the only way to overcome that is to show that everyone feels it. *Missing a collection of pics of people taking selfies? Here you go. I didn’t cover it in my post but this a big thing people do now–take photos of people taking photos. 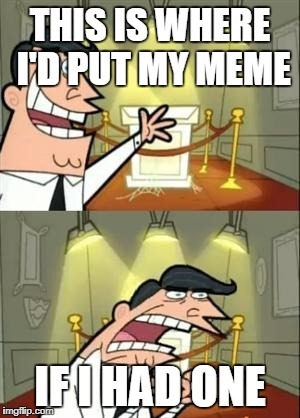 I suppose some people think it’s meta. Others just like being assh*les–which is, granted, fun sometimes. Some might fancy they’re making social commentary. What’s your stance? *Selfiecity is a project that’s investigating the selfies of 5 different cities, using a mix of theoretic, artistic, and quantitative methods. It seems like the project is interested in what implications of the selfie can be applied to a larger context, such as a city. It’s a very informative site and the essays seem well-researched and contrived. I wish I had more time to explore the site for my work but I highly recommend checking this site out! This entry was posted in Networked Narratives and tagged analysis, art, Digital Art, memes, netnarr, Networked Narratives, personal, photography, reading, review, self portrait, selfie, selfie art, selfies, selfies as art, story, storytelling, thinking out loud. Bookmark the permalink.